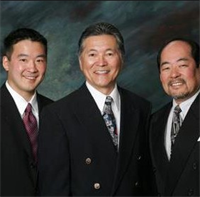 Since 1975, Tri-City Dental Care of Cerritos has been providing cosmetic dental services to patients of all ages in Cerritos, CA and the surrounding areas. Our experienced and friendly staff go out of their way to make every patient feel welcomed and relaxed during their appointment. Knowledgeable group of dentists that have a great office staff as well. Amazing group of doctors who are professional and friendly. Their outstanding and I'm happy to be a patient of them.